It's back to school time, so today I have projects on the Petaloo blog to share with you that you can give to a highschool or college student perhaps. After all they need a little boost about getting back into school, too, right? With all the pretty color card stock from Core'dinations and the coordinating Petaloo Color Match Series flowers I was bound to make something feminine. I altered a note book, and made a goodie bag in the shape of a little backpack. 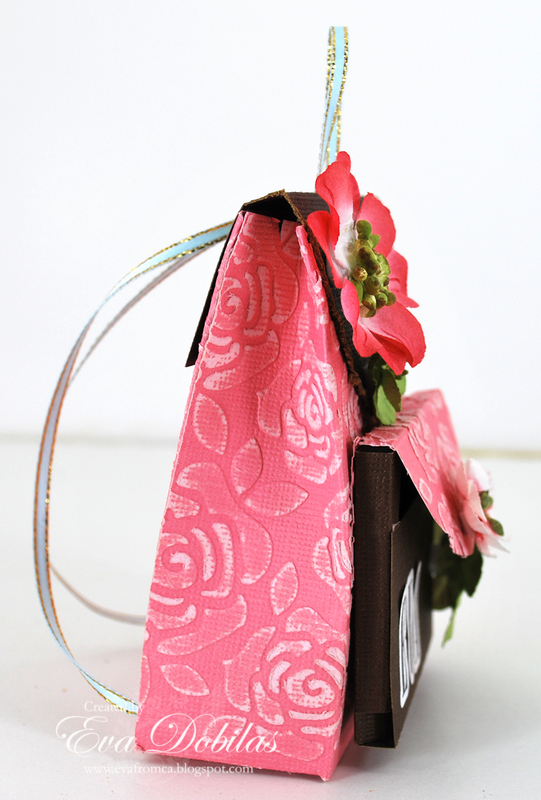 You can put some candy, lip balm, gift card, or special note for that special student. 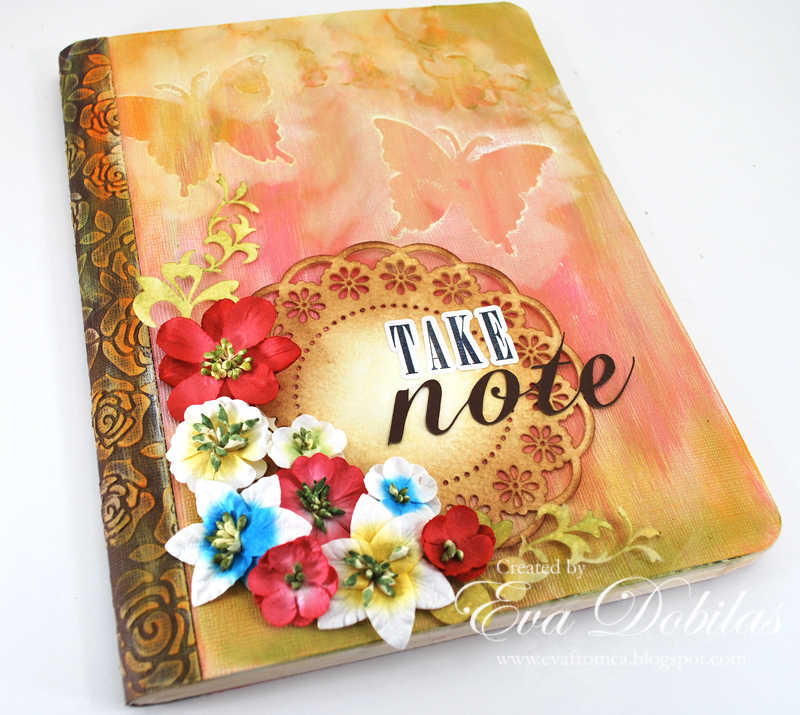 Core'dinations papers are perfect for embossing and sanding, so both my projects have a little bit or a lot of that. For my notebook cover I adhered the pink card stock to the front, and painted it partially in with some Gesso and covered it in with Pan Pastels. I die cut a few beatiful Cameo cutting files by Samantha Walker and used them as a stencil to create a little more textured interes on the front and I ended up using the die cut as part of my decoration as well, which went perfect with my pretty Petaloo Color Match Series flowers. I also used a butterfly stencil by Creative Imaginations (Samantha Walker design) with the Pan Pastels. It is very subtle, but I think it turned out quite pretty. 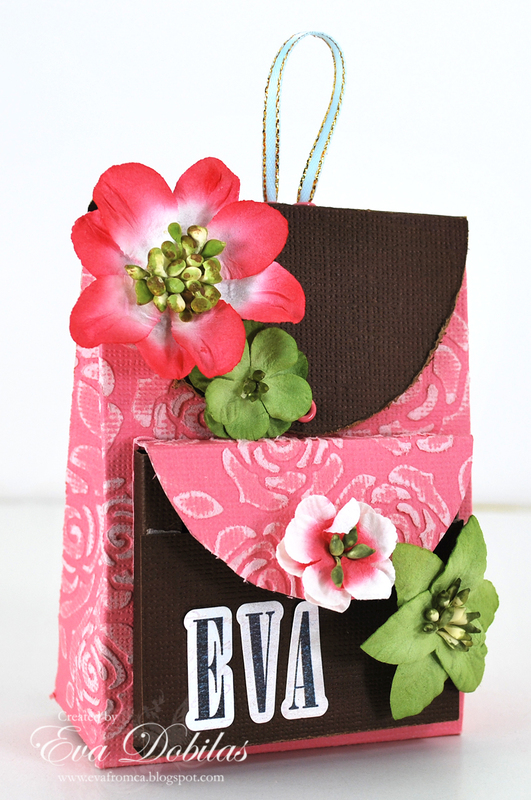 I just love how altering the pink paper turned out. 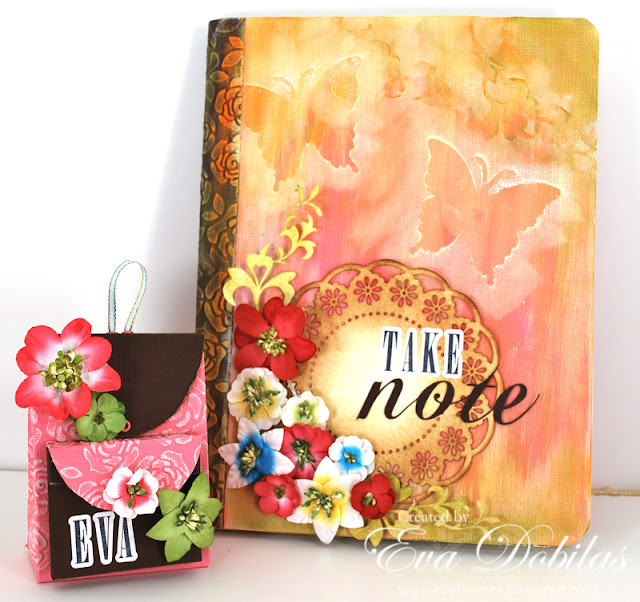 The pretty doily (Samantha Walker design) and the word "note" were also cut out with my Cameo and I added letter stickers to create the word "take". The final touch of course was adding the gorgeous flowers, which completed my note book. And let me just share about the spine of the note book. I embossed my brown Core'dinations cardstock, sanded it off and added some Pan Pastel to it. You can do so much with the Core'dinations papers, as you can see. Here is a picture of my backpack from the side. As you can see it really looks like a backpack. Hope you enjoyed the inspiration with these projects. Thanks for visiting!